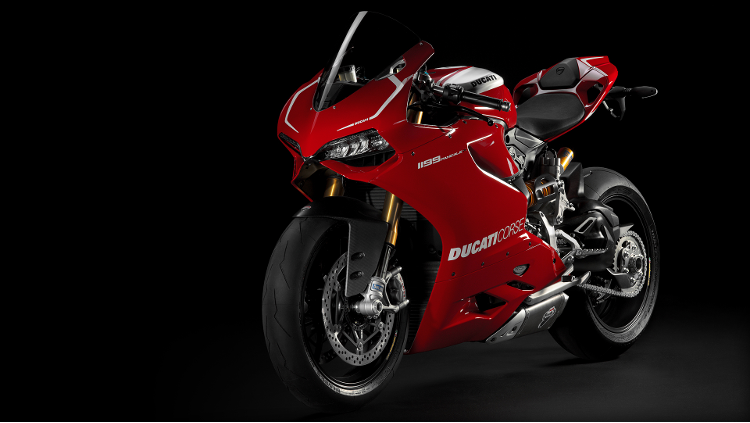 Unbelievable performance and technological excellence proclaim this the new queen of the Superbike family. 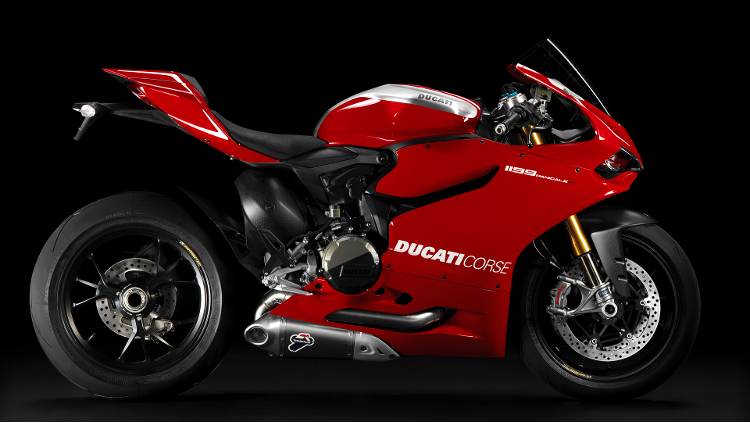 Born of the world of competitive racing, the 1199 Panigale R is an exclusive and treasured interpretation of man's passion for the racetrack: titanium piston rods, carbon fibre bodywork, Ducati Performance racing exhaust and livery inspired by the Ducati Corse. Perfection was never so close. Contact us today to book a test ride and find out our latest special offers on 1199 R.
Titanium rods which are lighter and more resistant than those in steel are an evident racing component with clear advantages in terms of performance: their light weight together with greater mechanical robustness reduces rotating mass and also the mass in alternating motion, thus enabling high engine speeds with greater responsiveness to be achieved. The titanium rods on the 1199 Panigale R put the Superquadro in the best light and enable the rev limiter to be moved from the 11,500 rpm of the 1199 Panigale S to 12,000 rpm, thus offering thrilling race-level performance. 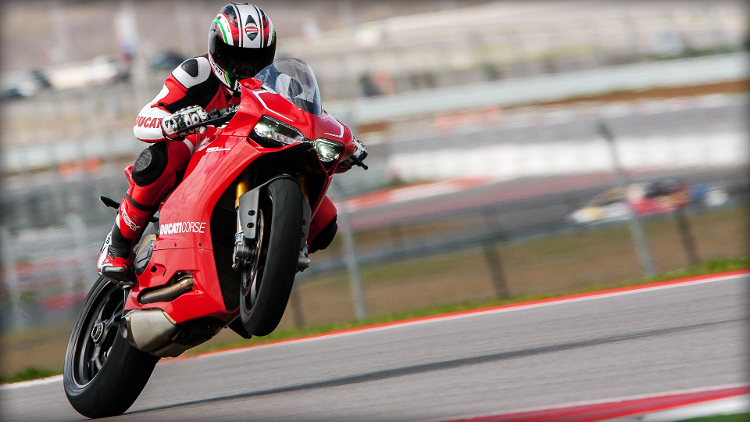 Built for racing, the 1199 Panigale R gives riders a further degree of freedom in the choice of the optimal set-up of the bike, offering the possibility of moving the pivot of the swingarm, in order to increase or decrease the chain pull angle. By moving the pivot of the swingarm up, the chain pull angle increases, thus extending the single rear shock absorber. In this way the rear dive effect while accelerating is reduced, and consequently the unabsorbed torque is returned to provide greater drive. Should there be poor grip or rain, the 1199 Panigale R allows the swingarm to be adjusted to use lower chain pull angles, which make the application of the torque more linear and so provide greater stability. The new 1199 Panigale R offers four different levels for the swingarm pivot: starting from level 0, which corresponds to the chain pull angle of the standard 1199 Panigale, it is possible to increase the height of the swingarm pivot by 2 mm or decrease it by 2 or 4 mm. 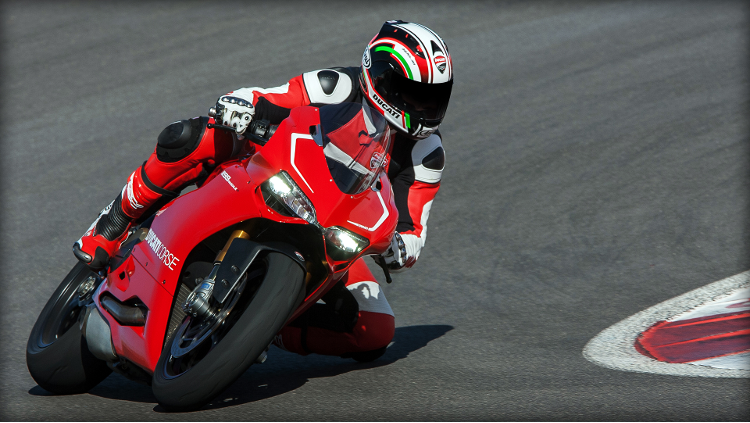 The 1199 Panigale R is the certified base model for the motorbike which will take part in the SBK World Championship in 2013. 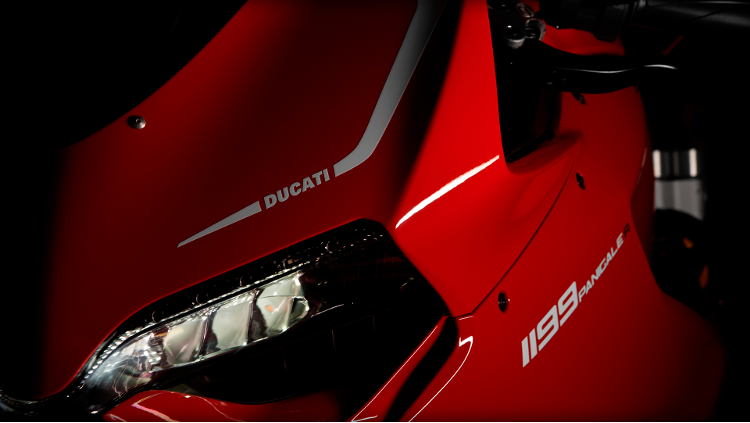 With the same technical features as the S Tricolore version, such as ABS and DDA+ as standard, with a 1.5 kg lower dry weight thanks to the numerous carbon fibre components with which the version is endowed, the 1199 Panigale R guarantees racing performance and genuine emotions. 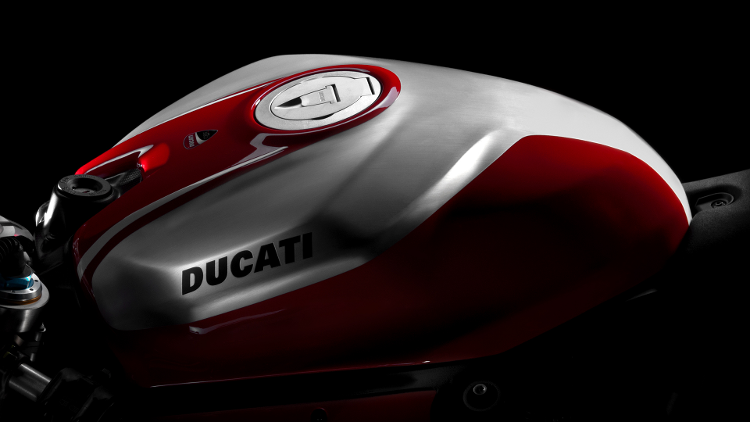 The sporting nature of the model is emphasised by the Ducati Corse-inspired livery, and by the accompanying accessories for racetrack use: the Termignoni exhaust, the aerodynamic screen and the rear-view mirror taps in aluminium . 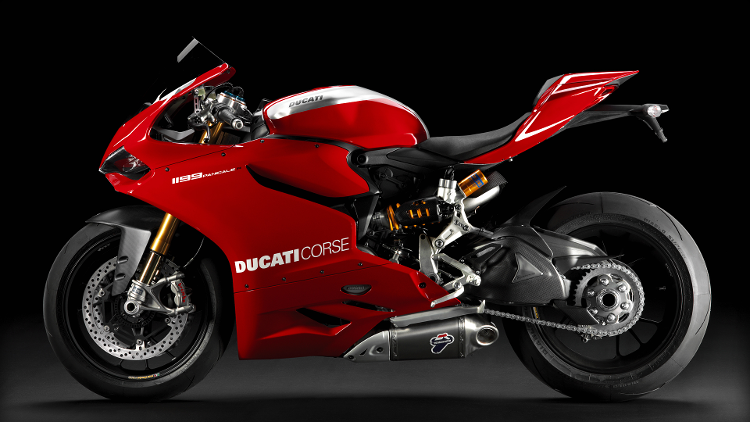 Customise your Ducati 1199 with our full range of 2014 Ducati 1199 R Parts & Accessories online. Also at Ducati Manchester we have a full range of 2014 Ducati 1199 R Clothing & Accessories available at our online Ducati Store.